Egg cartons have changed. Traditionally, egg cartons are made from grey cardboard…the same standard style and colour has been used for decades. However, there are a couple of companies who have started selling eggs inside clear plastic egg cartons. Now as a consumer this difference doesn’t impact my purchasing decision. As a crafter however, I wasn’t so sure. 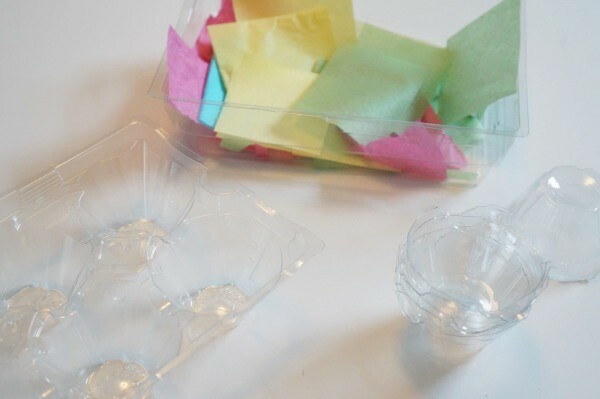 We are so used to making things from the cardboard egg carton…what about this new plastic container? Well, it turns out we were able to make beautiful blossoms, plastic egg carton flowers that are perfect for our spring front door. 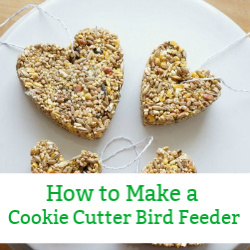 The first step is to cut out the individual pockets of the egg carton…remove all the excess. Then cut the tissue paper into small strips…or rip the tissue into small strips. 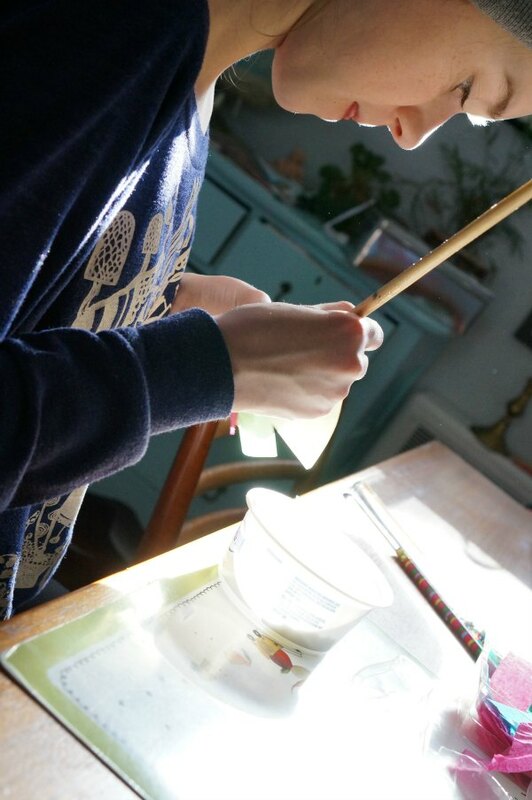 Using a paint brush, paint the white glue onto the outside of the egg cup and apply the tissue paper strips. Add as many layers of tissue paper as you like. Set aside to dry. While the tissue paper is drying, cut the cardboard into a large circle, this will be the where you adhere the flowers. 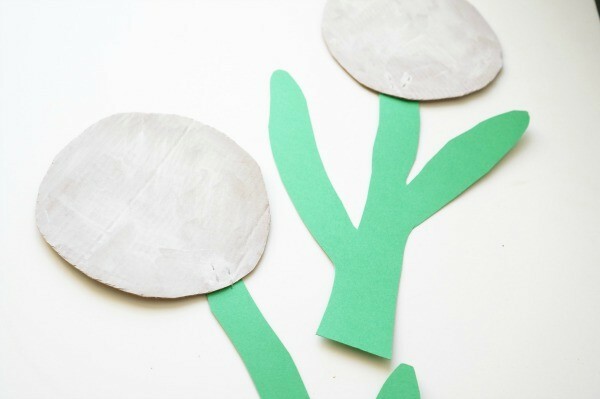 Paint the cardboard white, so it fades into the background of the flower head. Alternately, use white bristol board for the flower head. 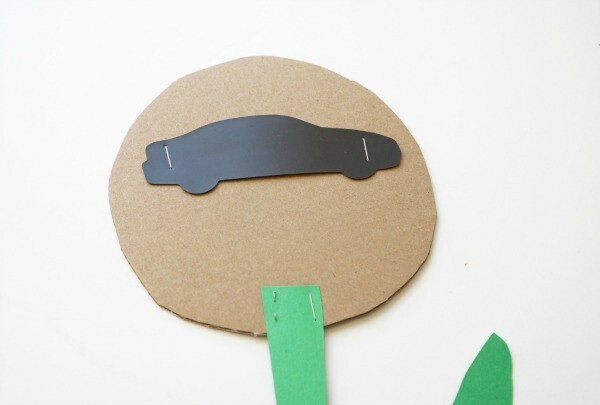 Draw and cut out a flower stem from the green bristol board, staple the stem to the flower head. Staple the magnet strips to the back of the white paper. We used an old fridge magnet. Our front door is metal, which is why we chose to use a magnet on the back of the flower. 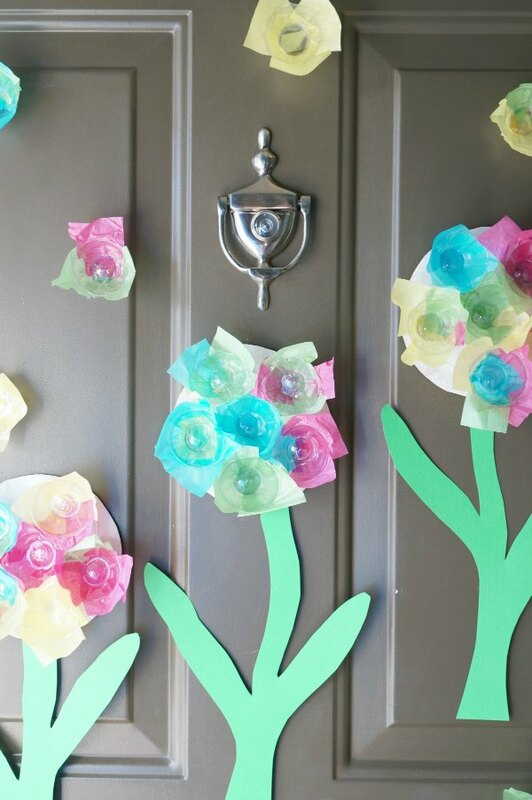 If your front door is wood, glue a piece of string or ribbon that can be used to hand the flower on the front door. Now to assemble the flower. 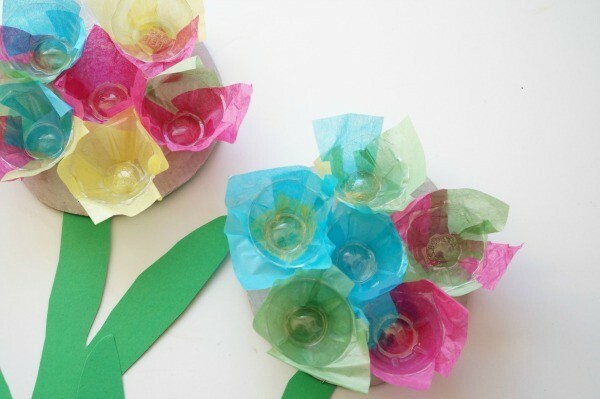 Use the hot glue gun to adhere the flower cups to the flower head. We made a big swirl of glue and then popped the cups in place. Hang the flowers on the front door. Enjoy. I love the way the light filters through the plastic and the tissue paper. The layers of tissue paper mean that the colours combine making a rainbow of colours. 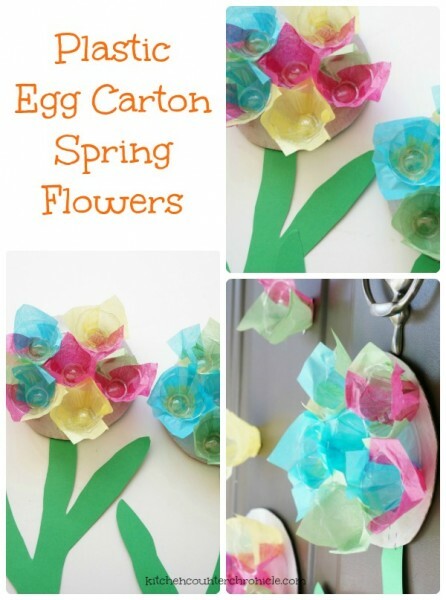 We glued bits of magnet to the backs of individual egg cups so we had some flowers floating around the door. Such a lovely, festive spring front door. Now, if only it would warm up and the flowers were growing in the garden. 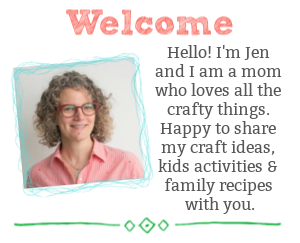 Visit Jen at KitchenCounterChronicle’s profile on Pinterest. Previous Post: « What is A Carbon Footprint? Oh those are so sweet! 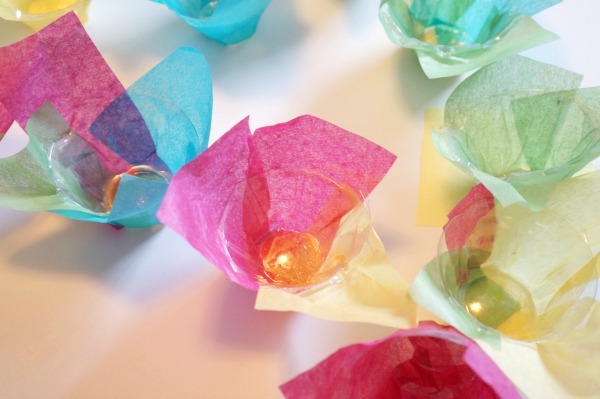 Love the use of tissue paper! Such a lovely craft for the Blossom, GetYourCraftOn challenge! 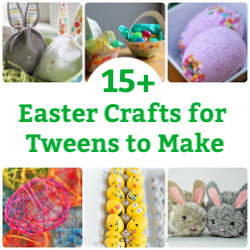 Thanks Maggy…they were a lot of fun to make…hopefully they bring spring.